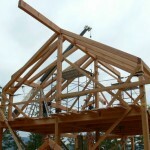 Timber framing was a commonly used building technique in North America since the days of the earliest settlers, who built their houses, barns, and churches using the same building tools and traditions they brought with them from Europe. 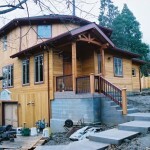 But this style of construction had nearly disappeared by the early 1970s, when Ted Benson, Jack Sobon, and many others determined to revive the art of timber framing for use as a modern architectural style. 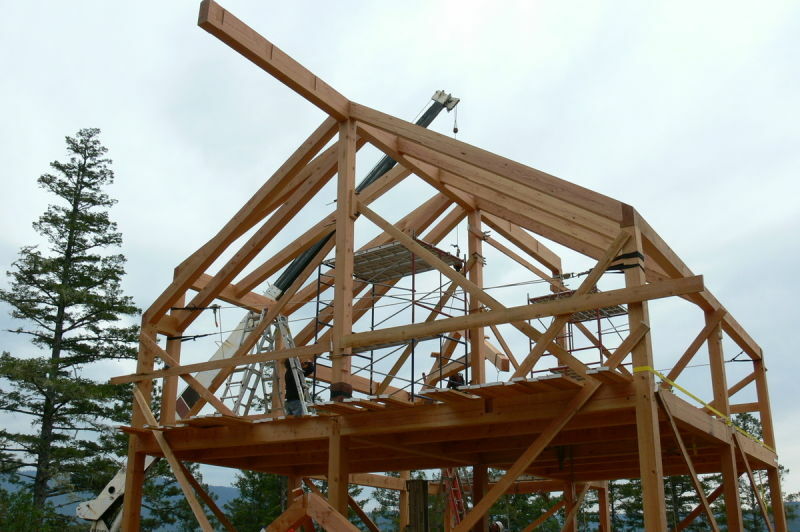 In working out how to deal with modern energy requirements, along with modern plumbing, electrical, and mechanical systems, the pioneers of modern timber framing settled on the idea of using the timber frame as a structural system fully enclosed by an insulated building envelope. 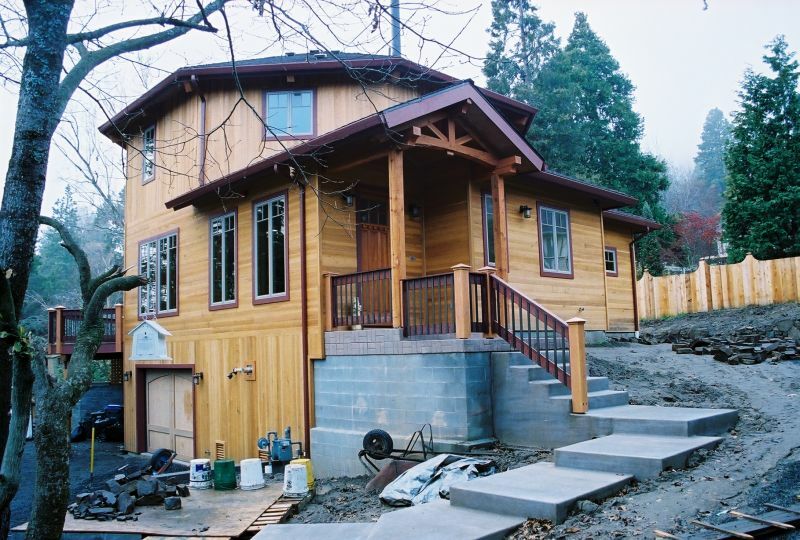 Some builders prefer using SIP panels for this building envelope, while others prefer to use conventionally framed walls and roofs to surround the timber frame. 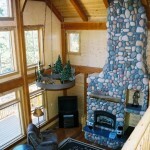 But in either case, the timber columns, beams, rafters, braces, and trusses are fully visible on the inside of the insulated building envelope, so that the beauty of the timbers and the joinery can be seen and appreciated. 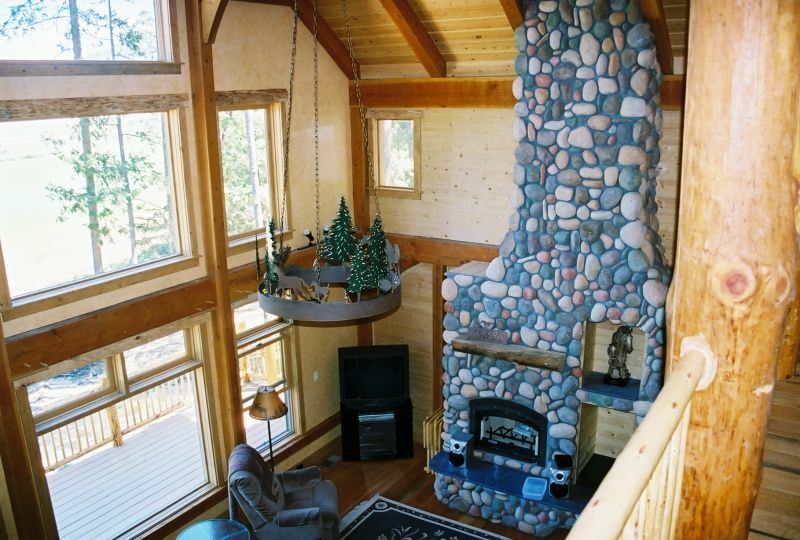 We refer to this architectural style as “traditional timber framing” to distinguish it from a “hybrid” architectural style, where visible timber elements such as timber trusses, beams, or rafters are incorporated into a home which is conventionally framed.